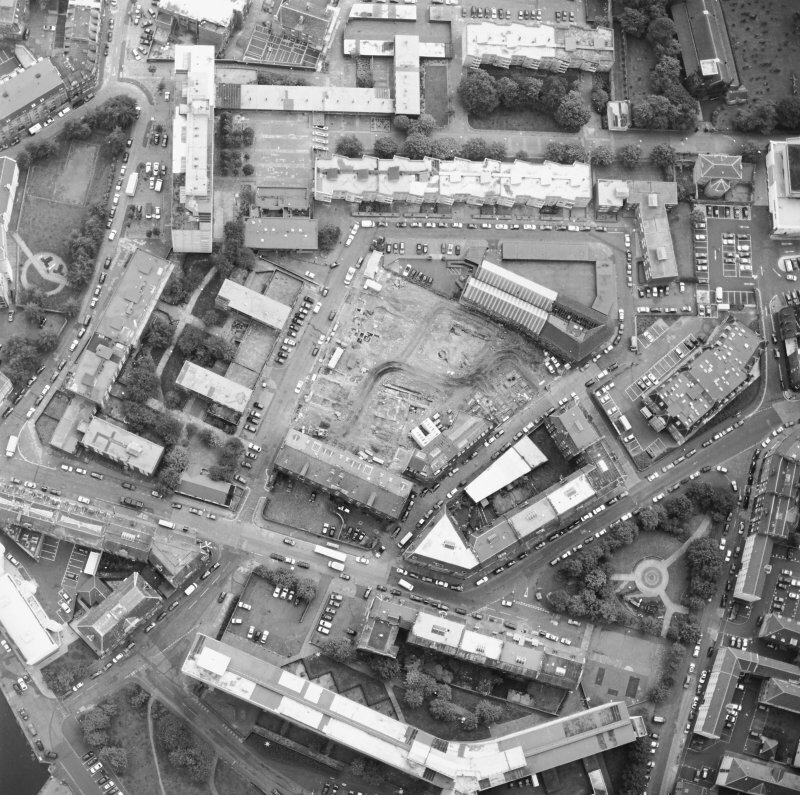 Oblique aerial view centred on the excavation with the warehouses and offices adjacent, taken from the NW. 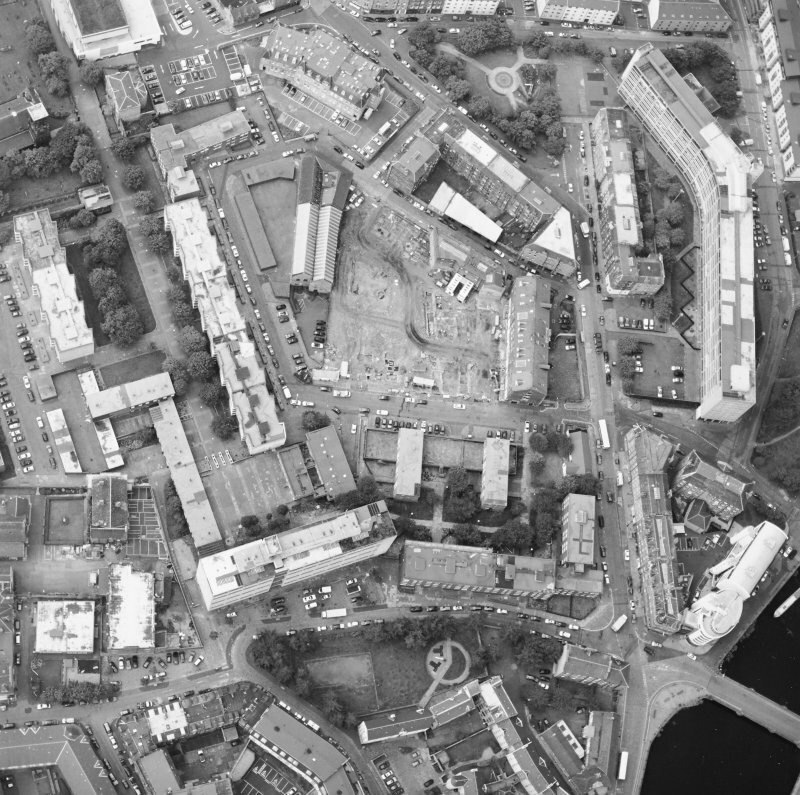 Oblique aerial view centred on the excavation with the warehouses and offices adjacent, taken from the NE. 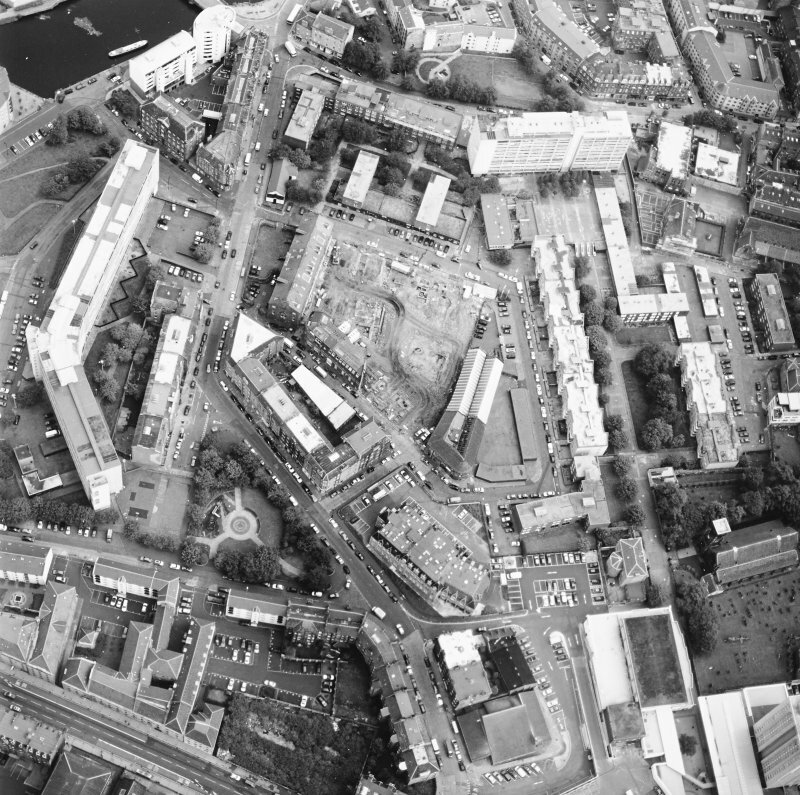 Oblique aerial view centred on the excavation with the warehouses and offices adjacent, taken from the SW.
Oblique aerial view centred on the excavation with the warehouses and offices adjacent, taken from the N.
Oblique aerial view centred on the excavation with the warehouses and offices adjacent, taken from the ENE. 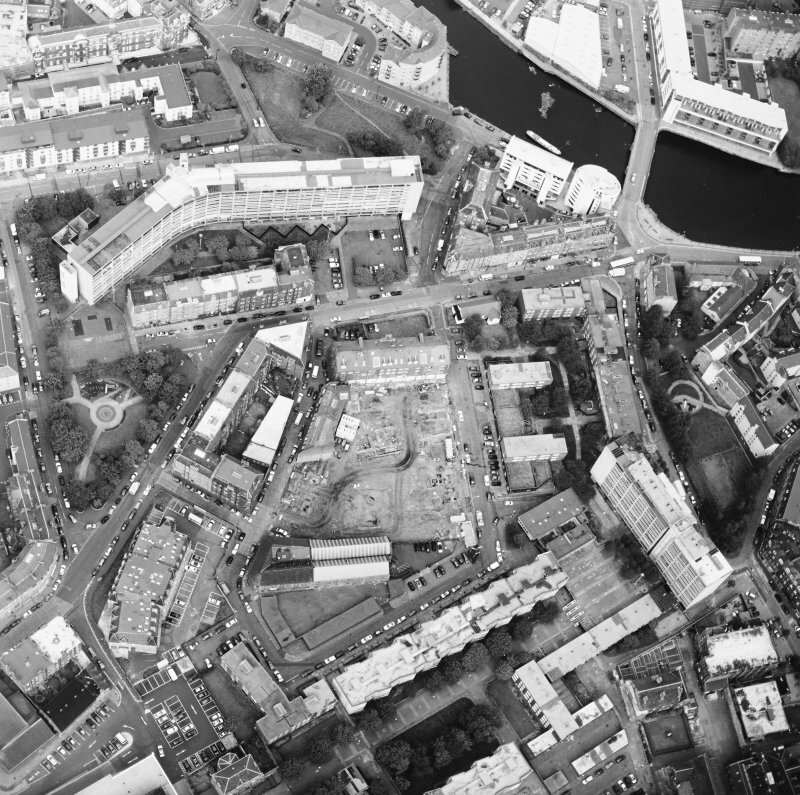 Oblique aerial view centred on the excavation with the warehouses and offices adjacent, taken from the SE. 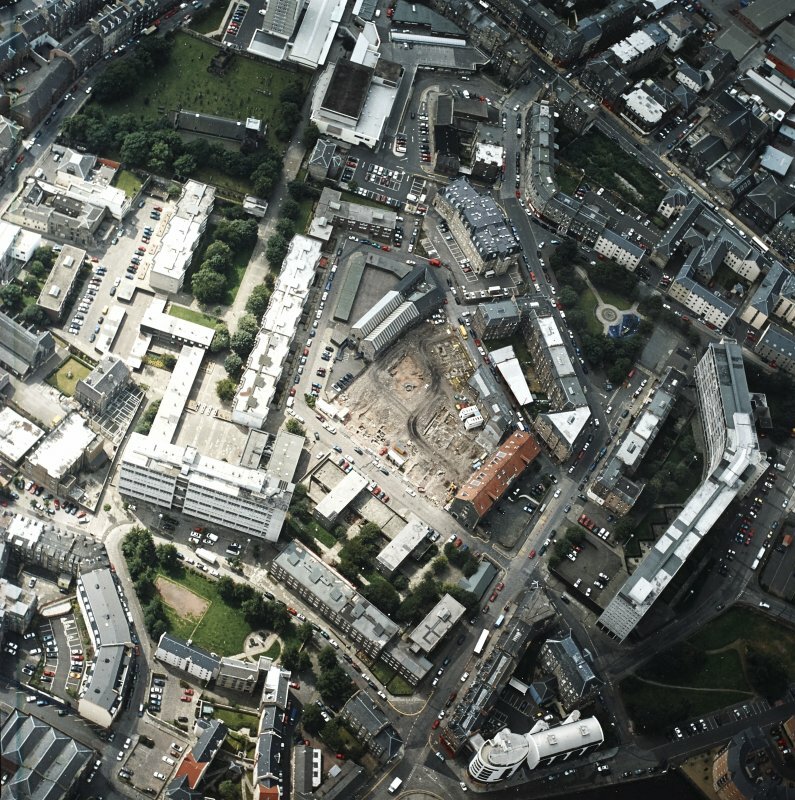 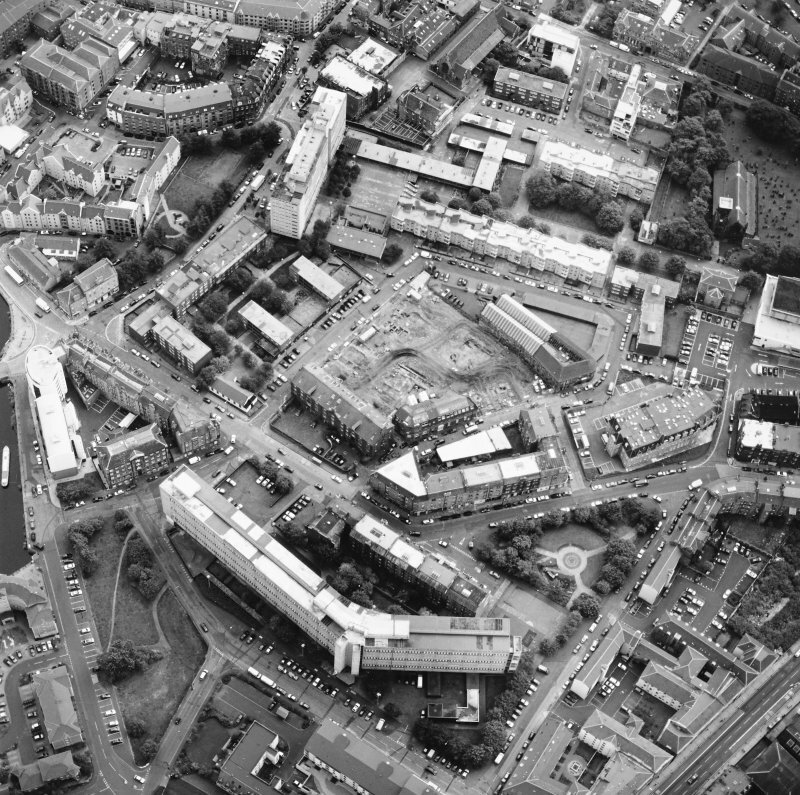 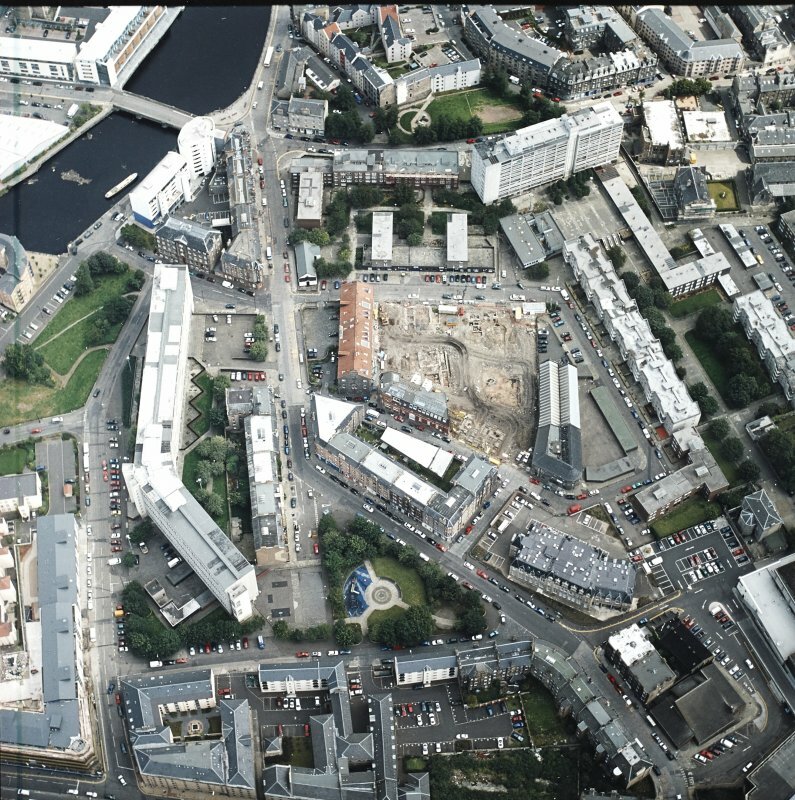 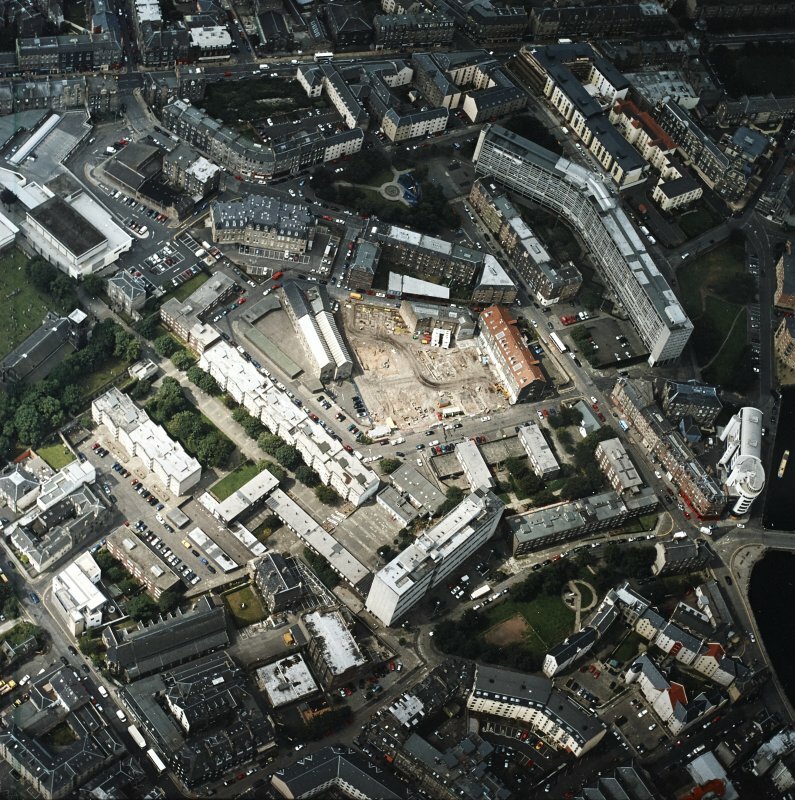 Oblique aerial view centred on the excavation with the warehouses and offices adjacent, taken from the W.
An eleven-storey slab block with balconies built as public housing by Edinburgh Borough Council as part of the redevelopment of the central area of Leith. 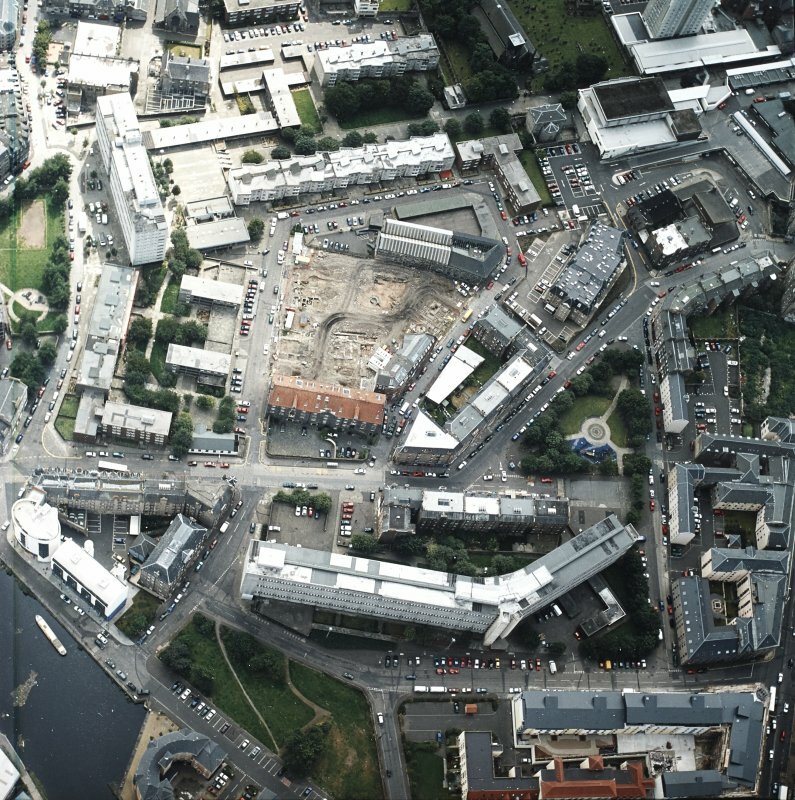 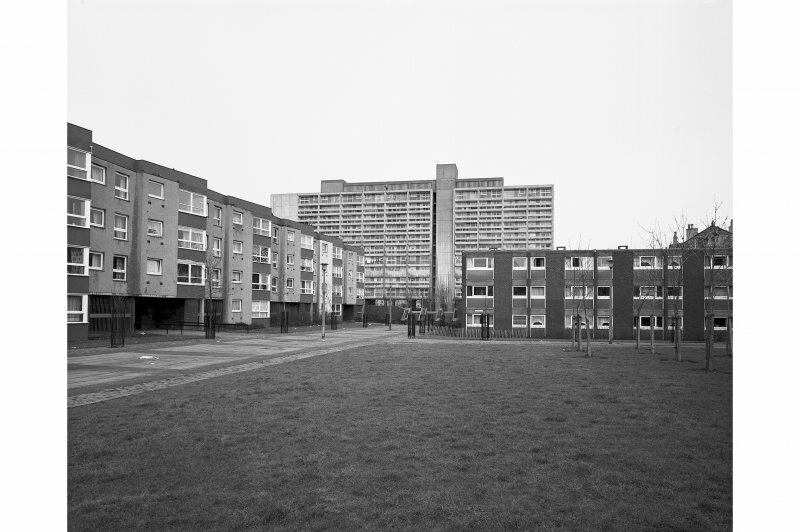 The block contains 98 dwellings. 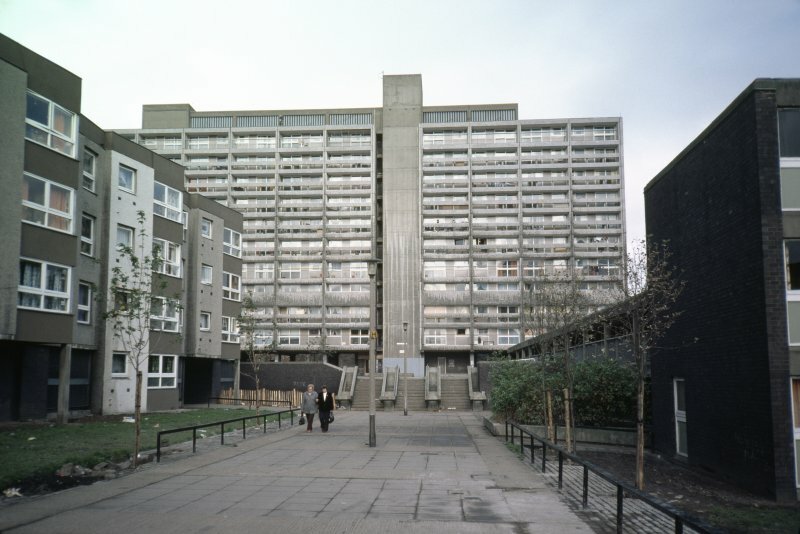 Construction was approved by committee in 1964. 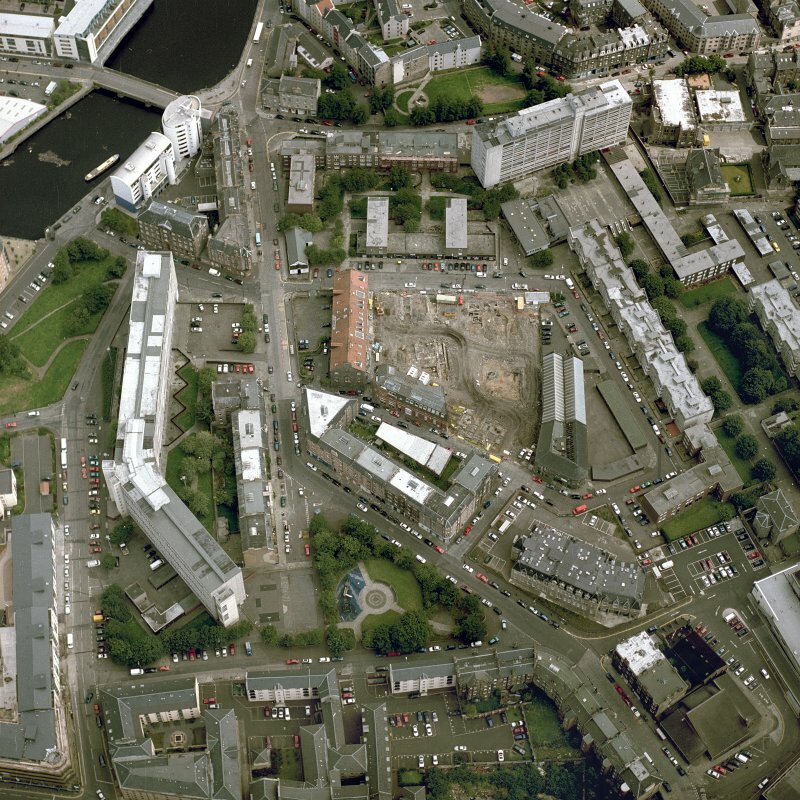 The contractor for the development was J. 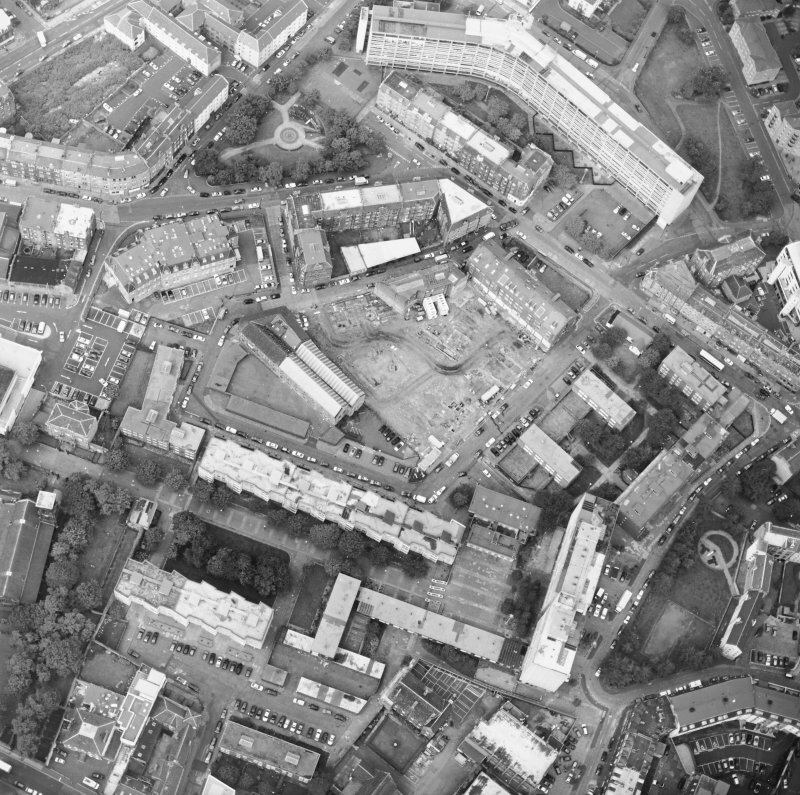 Smart & Co. (Contractors) Ltd.
Photo taken by Dr Miles Glendinning for research purposes.